In breaking news from BYU one of the Northwest’s top receivers, Tanner Shipley (6-2 185 Sr. WR) of Wilsonville, did his thing and made a commitment today with the Cougars. Shipley was offered and committed on the same day, and was excited and relieved when we spoke with immediately after. " Im just happy I really don’t know what else to say, Coach Mendenhall called me in earlier and gave me the news I was hoping for and I already knew what I wanted". Tanner rushed for over 1200 yards and 16 Tds in just over 6 games of work carrying the ball last season, but is a natural wide receiver and someone that we have ranked at the top of our boards. While at BYU’s camp Tanner added, " I didn’t have a very good first day here so it kind of made me worry, but I got things going and had a really good second day and felt much better about things". He continued, " I just feel very comfortable here and really like the coaches and the community". Shipley was part of the Oregon Elite NEI team that went to Las Vegas for the national 7 on 7 tournament in March, and also has offers from Oregon St, Wyoming, and Northern Colorado. While out at BYU we spoke to Oregon’s top ranked safety Dallin Leavitt (5-11 205 Sr. SS/ATH), about his friend and future teammate and what it means, " Its pretty sweet that we have such a big northwest presence coming out here, I think this could be a very special group of athletes from the Pacific Northwest to sign here". BYU has recently gained commitments from Billy Green (6-2 190 Sr QB) of Kings HS in Washington and Shipley, with Oregon’s top safety Leavitt and #1 NW O lineman Brayden Kearsley listed as a soft commit. 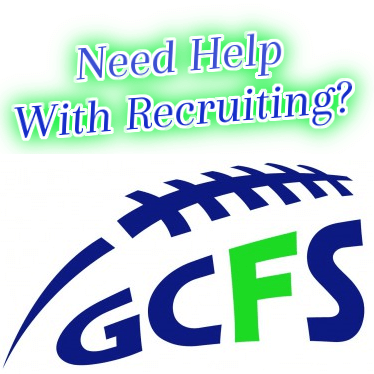 They have also reached out to top LB/RB Johnny Ragin out of Wilsonville, OR and offered him as well. Tanner is one of our favorite kids and an outstanding athlete, and we wish him nothing but success moving forward.